Have a great time out, share some refreshments, learn something new and brush up on your artistic abilities. You will be guided step by step through the process to create your own masterpiece. Each class includes all the supplies unless stated. We love our paintings on canvas but we also paint on wine glasses/bottles, wood, shells, pottery, birdhouses and more. We have painting classes for all ages and skill levels, adults and kids. As this program grows we will offer as many classes in different art medians. NO experience necessary...fun art! CLASSES: The classes are lead by various artists, who have many years of education and training in the arts. Preregistration is a must to participate in the scheduled classes. You may also call to arrange a class anytime. SHOP: Looking for something unique? 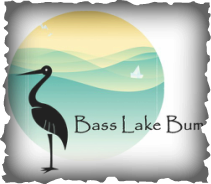 We customize Bass Lake suveniers, paintings, bags, clothing, hats, glasses, word and more!! INSTRUCTORS: We have instructors that are educated and specialize in their field of interest. Contact us if you would like to be a part of the team. PRIVATE PARTIES: We host many different types of private events for all ages, such as: showers, birthday parties, retirement parties, bachelorette parties, office team building parties, girl and boy scout parties and many others. Whatever and where ever the occasion, we bring the party to you. FUNDRAISERS: We also help others who want to give back to the community and do fundraising events. We take a portion of the income received and give it back to those organizations who are sponsored at each event. All sizes 8x10 and smaller are excluded from any fundraiser deals....no price adjustments for the 8x10 or smaller canvases. PRICING: Classes range between $5-40 depending on canvas size and travel distance if we are coming to you. All prices listed include instruction and materials. CANCELLATION POLICY: We require a cancellation notice of 48 hours prior to the event either by phone 219-314-2030 or by email tdillner@gmail.com to receive a full refund for individual registrations. If the cancellation is after the 48 hours prior to class you will be given a class credit to be used on a future class. No shows will not receive a refund. For bad weather cancellations, we will cancel if there are road restrictions, registrations payments will be fully refunded or the event can be rescheduled.